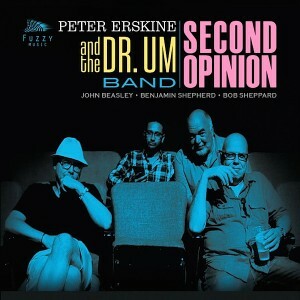 The last few weeks I’ve been in a little jazz bubble, enjoying listening to a couple of records by the great Peter Erskine. 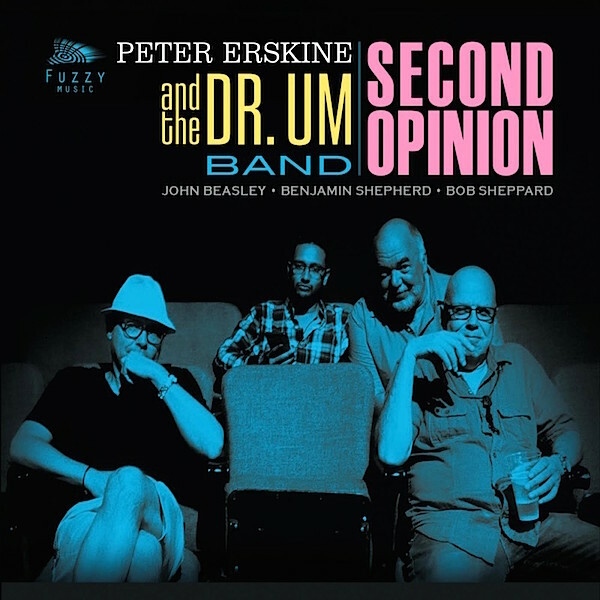 The first of these is Second Opinion from Peter Erskine and the Dr. Um Band, featuring alongside Peter, John Beasley on keys, Bob Sheppard on sax and flute and Benjamin Shepherd on bass. Despite coming out in 2016, this record has just been handed to me to review and from the word go, this is a groovy and incredibly enjoyable record. The album starts with a tune penned by Erskine called Hipnotherapy; the spelling of the word giving me pause for thought and a slight pondering at what may have led to this name. The bass on the first track in particular gets right under your skin, with one of those fantastically syncopated, laid back rhythms and the drums on top are understated but incredibly enjoyable. From there the album just continues to grow. There are also a couple of nods to great jazz composers including Henry Mancini with a great cover of Dreamsville and Ann Ronell with their version of Willow Weep for Me. A great album from start to finish and one to pick up for certain. 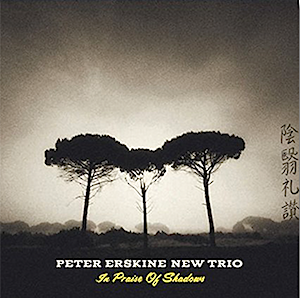 The second album from Peter is his New Trio album, In Praise of Shadows. This album features Damian Erskine on bass and Vardan Osepian on keys. The artwork particularly grabbed me, a moody picture of trees gracing the front cover and a little Japanese theme to it as well. This album has a bit more of a freeform jazz vibe to it than the previous album and there a multiple instances where there is some exciting improvisation and soloing from all then players. Track two called What If in particular has a great vamp that goes around with each player showing what they’re made of. The drums really show Peters brilliance and some of the rhythms that come from his playing are hypnotic. He also takes over duties to play some marimba on this record and it sits perfectly alongside the playing of the rest of the band. Jazz lovers should definitely be looking into this one, it’s a masterclass on playing for the song in a jazz context by one of the great players of our time. 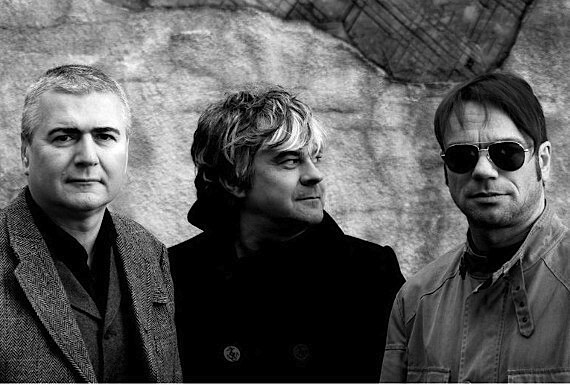 Steve White is a highly recognisable and respected face on the UK drumming scene, and this album represents the second record from his band The Family Silver. As well as Steve, it features Matt Deighton (Paul Weller, Oasis) on guitar and vocals and Damon Minchella (Paul Weller, Ocean Colour Scene) on bass and keys. The first track is a catchy number called In A Blaze of Night, with a hook that gets under your skin, followed up with a bluesy shuffle called Small Town Man. The whole album had, for me at least, some great little nods to the 90’s indie and Britpop scene. That’s unsurprising when you look at the bands these guys have played with but equally it’s a lot of fun to hear something new that encapsulates some of that vibe of that era. It’s not the longest record being a 6 track EP and comes in at just under half an hour long, but it’s an enjoyable half an hour for sure!